As the global population continues to grow, the rice cropping system has shifted toward intensified farming to be able to produce food significantly. New varieties with higher fertilizer response are grown nowadays and the originally used organic fertilizer cannot cover the increased nutrient demand. Inorganic fertilizers became easily available which led to high application rate, especially of nitrogen. A number of crop problems can be related to inefficient management of nutrients and nutrient imbalances in the field. 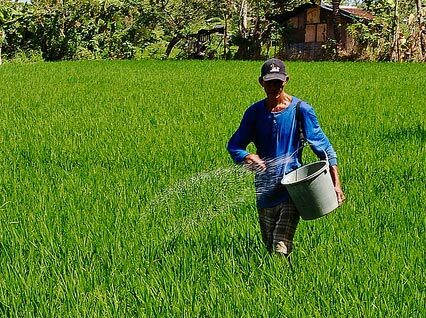 Site-specific nutrient management (SSNM) is a set of location-specific scientific principles for optimally supplying rice with essential nutrients based on specific conditions. The application of SSNM benefits the farmers economically because of lower input costs and possibly higher yields. It also reduces greenhouse gas emissions as more efficient use of nitrogen reduces nitrous oxide emission from the field, and indirect emissions during the production of N-fertilizer. How to manage soil fertility?